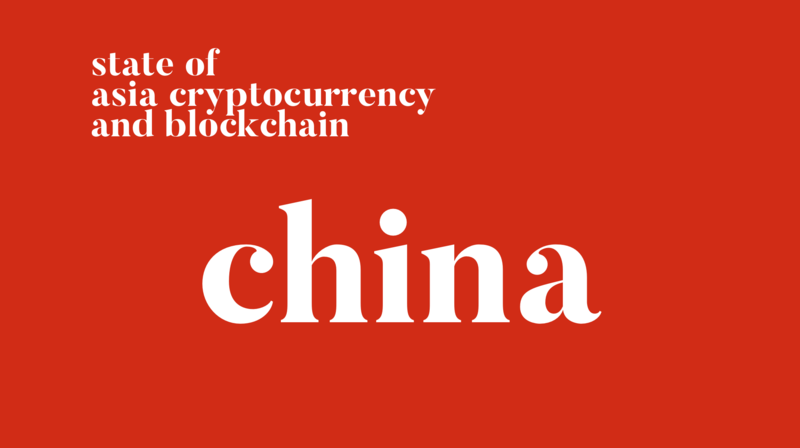 State of China- January Edition – We help you think smartly about the crypto and blockchain landscape in Asia 5-10 years out. Since last month, we’ve began posting a new long-form series to provide more context for our Premium readers on what’s going on in Asia. It featured recurring updates on the state of Asia Cryptocurrency and Blockchain. We have come up with 4 high-level topics, and we’ll be rotating through them. This week, we are sharing our take on China’s new blockchain service regulations, and examine the news of Bitmain’s co-CEOs stepping down. It’s been relatively quiet in the last month in China, except starting from the last week of December and beginning of this year. We have started seeing several announcements been made around blockchain regulation, which we’ve determined as a more stringent version, and an extension of the regulations announced in October 2018. We also look at Bitmain’s recent layoffs, and examine the recent announcements of the co-CEOs, Jihan Wu and Micree Zhang stepping down and their past relationship. On January 10th, new blockchain service regulations were published by the Cyberspace Administration of China (CAC). TL;DR -the main asks were that companies and entities operating in China that provide blockchain-based information services will have to expect users to register their real names and national identification card numbers. Companies are also asked to censor content deemed to pose a threat to national security and store user data to allow inspection by authorities. We mentioned in our analysis last month that the CAC has been pushing for accelerated standardization of blockchain. They’ve arrived at the point of where in order to truly implement business applications for the blockchain, they’d have to apply similar rules they did with WeChat and other digital and social platforms. China has already put in place regulations that require real-name registration for online services from social networking apps to online discussion forums. The latest rules are essentially in line with existing regulations. One of the main purposes of the released regulations is to protect national security and the interests of people, business proprietors, consumers and associations. Despite recognizing the capacity of blockchain as technological progress, CAC also sees dangers of it being used for bad purposes. These ongoing rules are implemented to mitigate these risks. 1. The announcement expanded the type of entities that fall under this regulation: in the second article, the rules lay out the specific definitions of those that fall under regulation. This specification is an extension of the regulations passed in 2018. In the past, a few blockchain information providers went around the rules by enrolling as an offshore entity and leveraged domestic tech suppliers, they can no longer do this. The definition has been enlarged to incorporate those entities. Essentially, the disclosure rules now apply to the organization or organization that provides technical, infrastructural support for the blockchain information services. 2. The fifth, sixth and sixteenth article detail suppliers’ responsibilities concerning cybersecurity. They are more strict and extensive than the 2018 regulations where providers need to prove their capability to produce a contained environment for security purposes— including user registrations, approvals, emergency procedures, measures to remove forbidden content and responses to such activity. Providers should report any illegal action, restricting the purpose or perhaps deactivating the accounts for consumers that violate these rules, in addition to supplying all user information to the authorities, and keeping them for up to 6 weeks. 3. Requirements for providers to file information regarding any new services on their platform provides will undergo a security assessment. A new service should be filed 10 days prior to going live, and include its name, type, model, a service field, server IP address etc. 4. Any upgrades or modifications to existing services will need to be registered 5 days beforehand. Notification to remove an existing service needs to be filed 30 days in advance. Upon conclusion of submitting, providers will be given a code and they should then submit to CAC to get approval and confirmation. This approval should then be shown clearly on the provider’s website and platform. A lot of these conditions existed during the 2018 Regulations, but there’s been some change for”Special Industries” so provider should ensure they are up to date and comply effieciently. Other ongoing rules: if the user does not verify him/herself, he/she will not receive any service. This is a now developing trend amongst many technology businesses in China, where you have to verify yourself with a resident number or a local bank account, and a local phone number, in order to get access to any online service, including the online press. In our analysis from last time, we mentioned that the cybersecurity regulators have been requesting detailed logs of user activity and personal information from all technology companies and online service providers with “public opinion or social mobilization capacity” before the month’s end. All blockchain companies will likely be expected to do the same. Previously we saw a change of hands of consumer information, with the ownership and power being gradually being taken away from the largest tech conglomerates such as Alibaba, Tencent and Baidu. This time it is the blockchain companies. From here now onwards, the technology companies will increasingly become mere mouthpieces and technology weapons of the central party, more so than they already are. We will continue to see this ongoing empowerment of the Chinese regulators in lieu of the technology companies. And as we mentioned on Twitter, it looks like in the end, we are going to have a blockchain that’s purely beneficial to the central government. Should they really want to, the regulators or the technology companies under the regulators’ oversight could commit “censorship” on transactions or actions on the blockchain and “delete” those transactions, but those “censorship” behaviors will also be recorded. Under a private blockchain structure, these types of activities will not be very difficult to conduct. And we imagine only specific, internal personnel will have access to all of the transactions and ledger. Ultimately, this is one of the reasons why we believe the CAC is putting more pressure on the tech companies in China. More digital payments mean that the Central bank has less control, with cash, payments cannot be traced and can be performed in a completely anonymous way. Nevertheless, if the authorities have all the data from the tech companies, they will be able to enforce and control supply easily. Check out our writeup on how WeChat pay is so ingrained in Chinese society and its shared traits with stablecoins. In the last 6 months, we saw the largest mining companies suffering under a slowing mining industry. Bitcoin miner maker Ebang decided to update itsHong Kong IPO application in early December. The results show that gross profit of the first six months of 2018 reached ~$164mn, an 11-fold increase from the same period in 2017. Nevertheless, their 2nd half of the year performance is still uncertain. In December, the Hong Kong Kong regulators also proceeded to say that IPOs by cryptocurrency businesses are premature, putting Bitmain’s US$3 billion fundraising plan in peril. And as a result, China’s second-biggest Bitcoin mining chip maker Canaan has reportedly abandoned their plans for a Hong Kong initial public offering in favor of a U.S. listing. “[There were the]number of potential risk signs in stated numbers: margins overall have come down. Gross margin in the first six months was 36 percent, down from 48 percent in 2017 and 54 percent in 2016. Contributing to that, the cost of sale percentage in the first half of 2018 rose to 64 percent from 51 and 52 percent in 2017 and 2016, respectively. Subsequently, going into Q3 and November, we saw the BCH debacle surfacing. BCH ABC, the BCH fork that Roger Ver and Jihan Wu backed, was accumulating more proof-of-work than BCH SV since the date of the split and, eventually, it won the allegiance of major crypto exchanges including Bittrex, Kraken, Bitstamp, and Coinbase. But since the split occurred in mid-November, BCH has gone down by 75% in value (from Bitcoin Cash split to 1/12/19), vs ~40% in Bitcoin and Ethereum. It was actually reported through Chinese media that in the past, Jihan and Micree haven’t gotten along. From the US side, we never really have heard about Micree, the engineer behind the company. Micree was the chip-designer, Jihan the business guy. Micree had a Twitter account and the last time he tweeted was about Bitmain’s AI ambitions in August. When both given the CEO title, it seems that it could be potentially difficult to make decisions when the parties disagreed. In April of this year, there was also Chinese media news reporting Micree and Jihan going separate ways, and that the situation of the duo-CEOs may end. But what happened clearly didn’t seem to reflect the rumors in the media. Wang: Referring to BITMAIN, we have to mention your other co-founder, Micree Zhan, who is known as BITMAIN’s “technology brain”. In my opinion, your previous cooperation was golden. Micree Zhan is seven years older than you, he was engaged in the design of integrated circuits after he graduated from the Chinese Academy of Sciences. In 2013, Micree Zhan spent six months developing BITMAIN’s first generation of mining machines, which were far more efficient than its competitor, and became the key to the rise of BITMAIN in future years. It is said that your fates were attributed to a “roadside sale”? In the company, how do you divide the work with Micree Zhan? There are rumors that the Micree Zhan is the largest shareholder of BITMAIN? Many people may notice that Micree, who used to hide behind the scenes, has frequently come to the stage and spoken on behalf of BITMAIN, but his title is “BITMAIN co-founder and co-CEO”. According to my observations, the title of co-CEO is basically used in the transitional phase of two companies that are merging, such as Wang Xing and Zhang Tao’s titles after the merger of MeiTu and DaZhongDianPing, and ZhangTao left in the end. One company only needs one person to make a final decision. BITMAIN is a partnership between you and Micree, so what was the purpose of establishing a co-CEO? Wu: Since the recent blockchain industry has expanded dramatically, many journalists need to write something about it. But they don’t understand us and are concerned with the co-CEO relationship. In fact, this is old news. Micree and I started as co-CEOs, people in the Chinese blockchain industry have always known that. In 2017, during the expansion debate, Blockstream suddenly realized it. They had journalists report the matter and were excited for a long time. Adam felt that there was a chance and met with Micree alone. He hoped to find a breakthrough opportunity for a story but it had no effect. Micree and I are more like a complementary team. It’s like a table tennis doubles game. When the ball is played, whoever is in the best position will hit the ball, so coordination is the key. In some ways, I believe this comment from Jihan more than the media. Because in the end, we saw both CEOs stepping down. It didn’t look like a struggle for power, or else one of them would have likely stayed as CEOs. The latest events around layoffs and the fail to IPO reflect the macro, secular trends combined with a poor performance and execution of the company. Nevertheless, we can be assured that Bitmain is far from dead. Since 2017, BITMAIN has invested in a number of blockchain projects such as Yilaiyun, ViaBTC, AICHAIN, Hero Interactive, and Yingying Network. In May this year, another $110 million was invested in Circle Internet Financial, a mobile payment and cryptocurrency trading company. Circle seems like it has gone in the correct direction with the release of a stablecoin with Coinbase. I also believe that Jihan is a smart business man, albeit perhaps not experienced in operations. He is determined and I won’t be surprised if he becomes a prominent investor in the space or launches another and more successful crypto company. Nevertheless, he is adamant about contributing to the ecosystem and lifting the entire space, and this won’t be the last time we see him or Bitmain. In 2019, Bitmain will likely have to diversify its business, continue to strive for some success in its AI chips, or attempt to get bought out quickly by the larger chip competitors to avoid becoming obsolete fast. We should also start seeing some consolidation in the miner space.